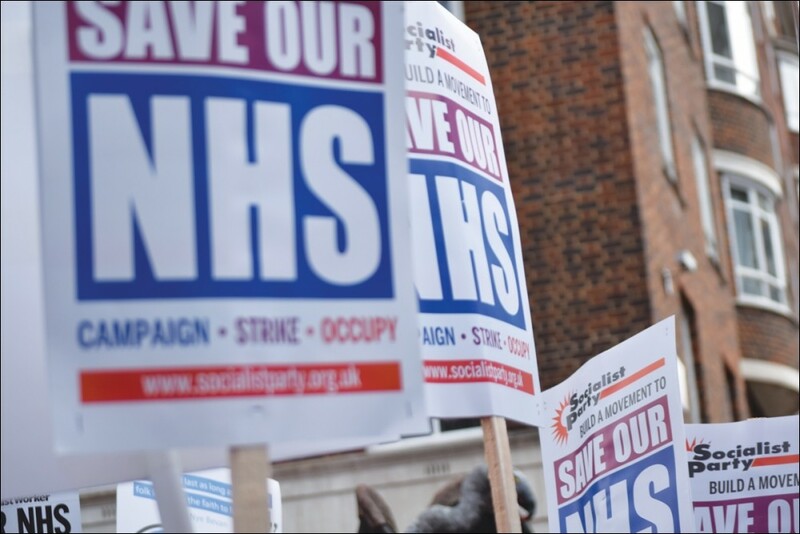 500 people attended the Yorkshire Health Campaigns Together demonstration on 30 March. Socialist Party member and chair of the Huddersfield Hands Off HRI NHS campaign, Mike Forster, enlivened the rally by recalling the significant victories won across the region over the last year. There were plans to reconfigure health services in Kirklees and Calderdale, but now they'll have to go back to the drawing board. Sheffield NHS walk-in centre has been saved. 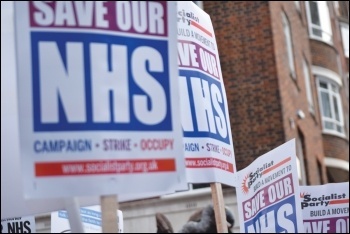 The successful strike ballot in the Mid Yorkshire NHS Trust blocked the establishment of a two-tier workforce via a wholly-owned subsidiary in that trust and Leeds and Bradford as well. All these campaigns had Socialist Party members in the leadership. It was therefore fitting that Mid Yorkshire Unison branch secretary and Wakefield Socialist Party member Adrian O'Malley was the first speaker to address the rally. Both Mike and Adrian put central the question of a general election to drive out the Tories and their austerity policies from government, a point taken up by all subsequent speakers. Corbyn and the trade unions should be mobilising the whole labour movement to force them out and put forward a socialist alternative to austerity. 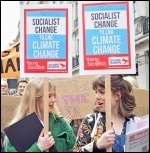 Socialist Party members had a welcome response on the demonstration, raising these points through our leaflet, and had one of the loudest blocks on the march thanks to our enthusiastic Socialist Students members. We sold over 20 copies of the Socialist. The day before a march and rally to save King George hospital A&E, council leaders in Redbridge, Havering and Barking and Dagenham, together with the chief executive and managing director of the local NHS, put out a statement which appeared, at first glance, to concede entirely the demands of the marchers. But on closer inspection, despite denials from Labour councillors, it did not repudiate the original review which has clearly put the A&E, once again, under threat. The 30 March demo was followed by a 50-strong meeting. That meeting agreed to closely examine a demand I moved from the platform, speaking for the Socialist Party, that the review was placed under trade union control. Amendments suggested patients, trade union councils and other bodies be involved. It was agreed to reconvene to discuss this in more detail. 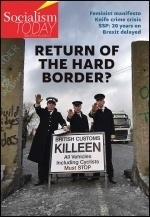 This could constitute a committee to help root the campaign in the community and the health trade unions. Syed Siddiqi, chair of Barking, Redbridge and Havering health branch of public sector union Unison, pointed out how difficult it is to retain health staff when there is uncertainty hanging over the hospital A&E. "It's been impossible to have a dialogue with the trust management about this particular issue, because they are generally not in dialogue with any of the health unions." The meeting demanded the A&E - which the campaign has successfully kept open despite well over ten years of closure threats - is not only kept open but improved. It overwhelmingly condemned the failure of the local councillors to turn up, demanded the council wave the room booking fee, and largely applauded every mention of Jeremy Corbyn. 20 people bought copies of the Socialist.